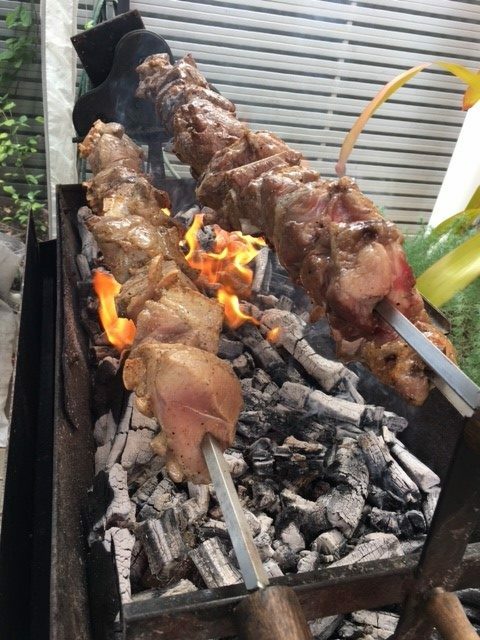 Imagine the smell of spiced lamb cooking over hot coals……. well that is only part of the authentic Greek experience Pete The Greek offers. Pete honours his family traditions, making his very own halloumi to his grandmother’s recipe, his Mum’s baklava, Dad’s marinade on the lamb, and the family bread recipe for the stone-cooked pitta, and making his very own Cypriot sausages to go into the Sheftalia, again cooked over hot coals. It all adds up to a feast for the eyes, nose and tastebuds.